Looking For Gift Basket Stores? Boodles of Baskets delivers beautiful gift baskets and gifts to customers in Ontario and throughout North America. Located in Windsor, Ontario, Boodles of Baskets offers: Holiday Gift Baskets, Personal Gift Baskets, Corporate Gift Baskets, and Specialty Items. 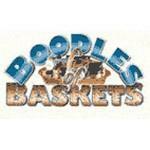 Boodles of Baskets offers next day Ontario delivery for Toronto, Mississauga, London, Windsor, and surrounding areas.